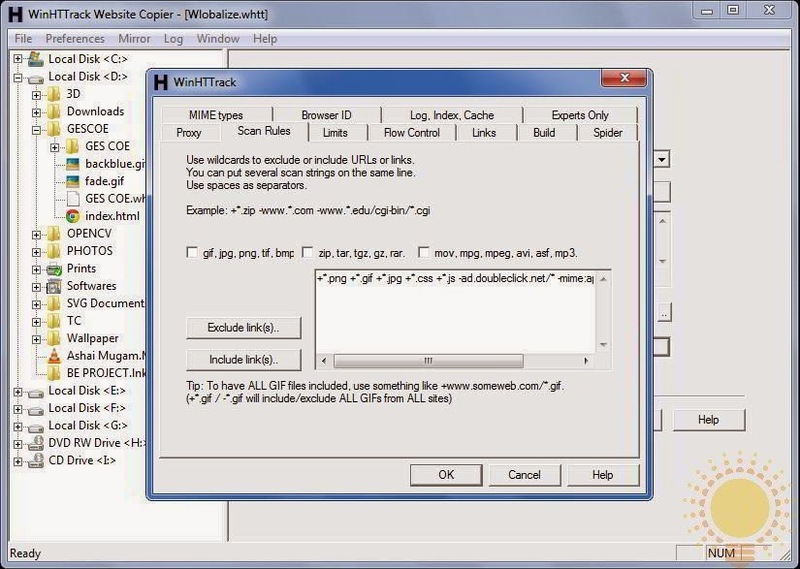 HTTrack is a free (GPL, libre/free software) and easy-to-use OFFLINE Browse Utility. As soon as you open HTTrack, you will see its welcome page. From here you can create a new project or resume downloading an old partially downloaded website. Just click on "Next" button. 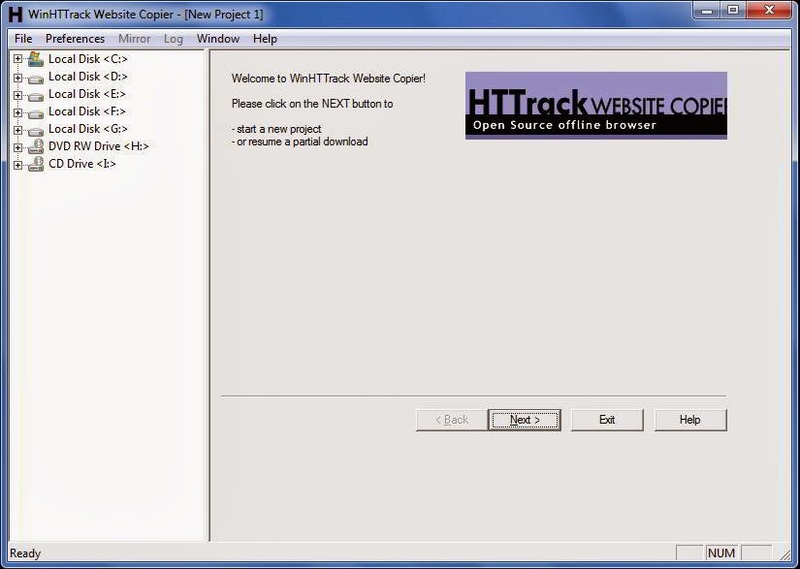 In HTTrack, every website you download is considered as a separate project. Now here type the "Project Name", select the "Project Category" and provide the "Base Path" where you want to save the downloaded website and then click on "Next" button. Now after that you will be asked for the Action to be performed. There are various options available such as "Download Website", "Continue Interrupted Download", "Update Existing Project", etc. Chose an "Action" from the drop down list and then either "Add URL" or select an URL from "Web Address" list. If you click on "Add URL" button, you will be then asked for the "URL" of the desired website. If the website requires some Authentication, then you can provide the "Login" & "Password" for the same. 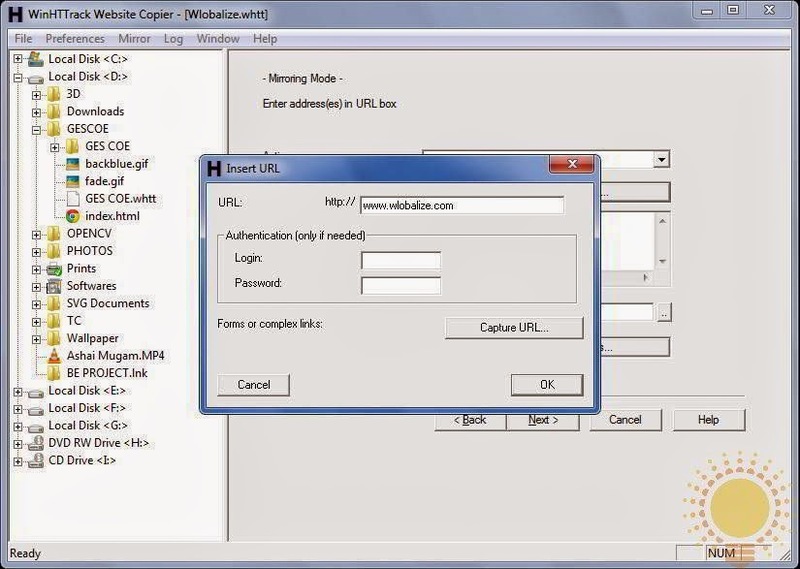 There is a facility provided for automatically capture URLs of Forms and Complex Links, but for that you will have to do some Proxy settings for your browser with the given "Proxy address" & "Proxy Port Number". 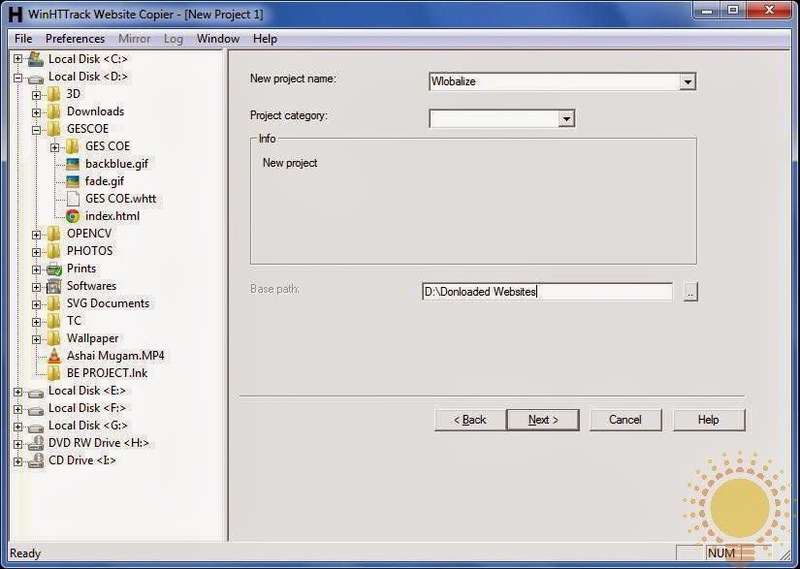 You can add multiple "URLs" within the same project. You can configure the downloading by adjusting various option given under "Set Options" button. Here you can configure the "Proxy" settings, "Scan Rules", "Scan Limits", etc. After doing all these settings click on "OK" then "Next" button. Now here you can adjust your connection parameters. You can choose from the various connection available with your system, schedule the downloading, etc. After that click on "Finish" button. Now your downloading will start and you would be able to see the progress of downloading. After your downloading completes, you will be transferred to the finish page. Here you can "Browse Mirrored Website" and "View Log File". Click on "Finish" if you are done with your job else click on "Browse". If you click on "Browse Mirrored Website", HTTrack's homepage will get opened in your default Web Browser. From here you would be able to access your downloaded website. Just click on the name of the project on the page and then you would be able to see your downloaded website. Note: I have not used and tested all the above given alternatives & hence I cannot say anything about their performance and utility. The above listed alternatives are provided for your convenience and if you wish you can have a check over them. Some of them are free for use and some are paid softwares. Some of them are available for only specific OS. Please do write below and share your comments and views with me.